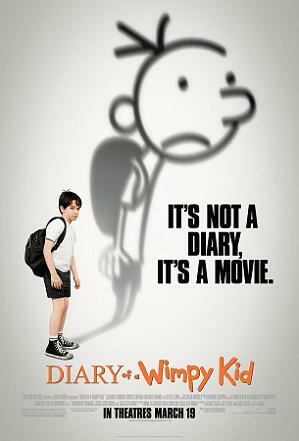 "Diary Of A Wimpy Kid" is an amusing film about a enthusiastic preteen, Gregory, that is nervous about going to middle school. His best friend, Rowley, deemed more nerdy than he, through a series of funny events, becomes more popular, which drives him crazy. He spends the rest of his time trying to outdo everyone and makes many enemies in the process. This was a fairly safe film for kids, give or take a few items, which did not set the best example. The gross-out factor in this movie was also not pleasant.